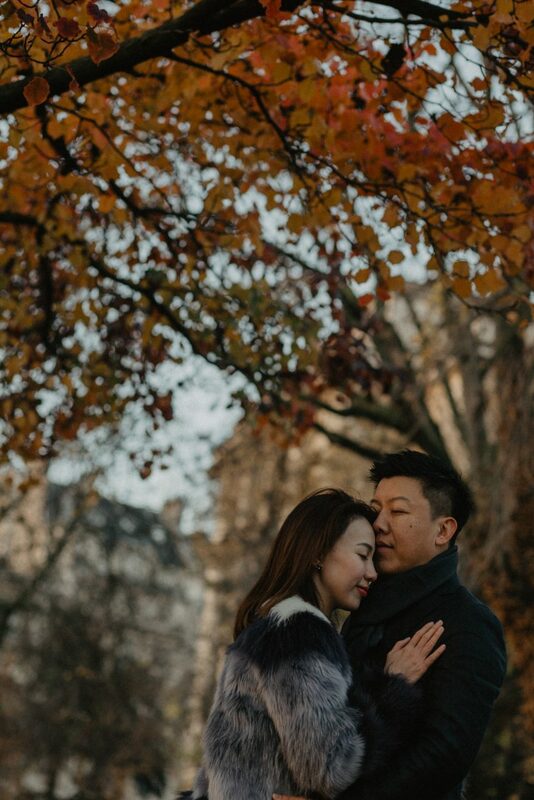 Have you ever wondered what it feels like to do a photoshoot in the middle of the cold Parisian winter? 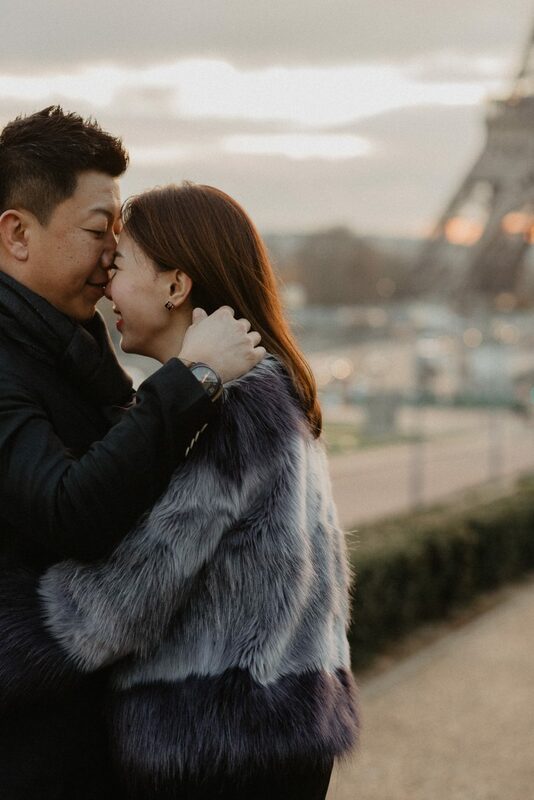 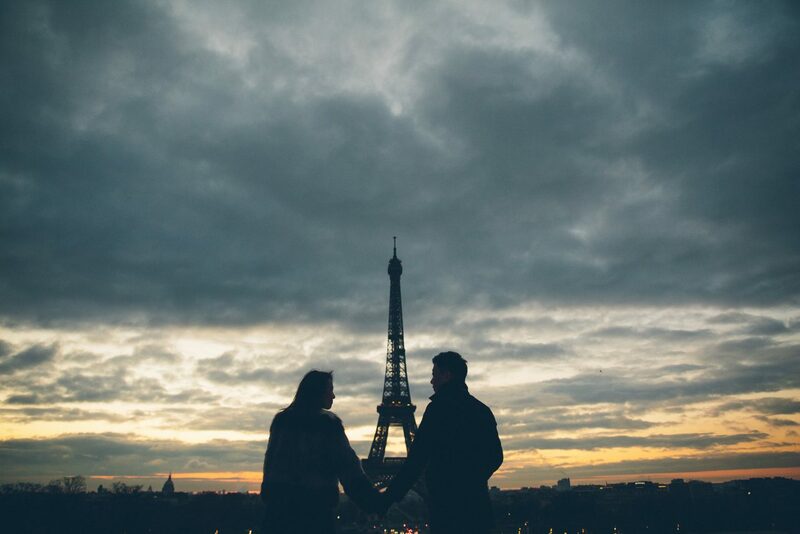 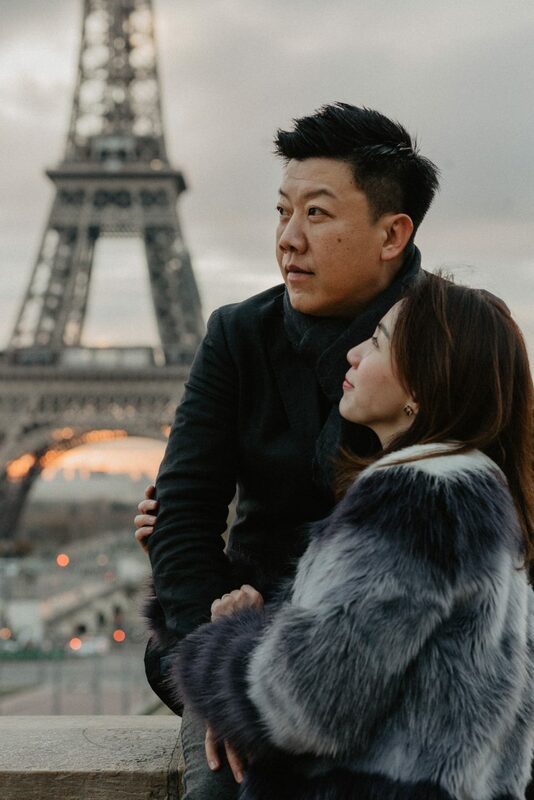 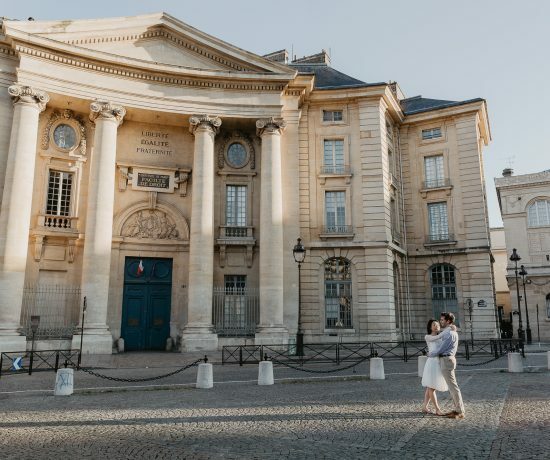 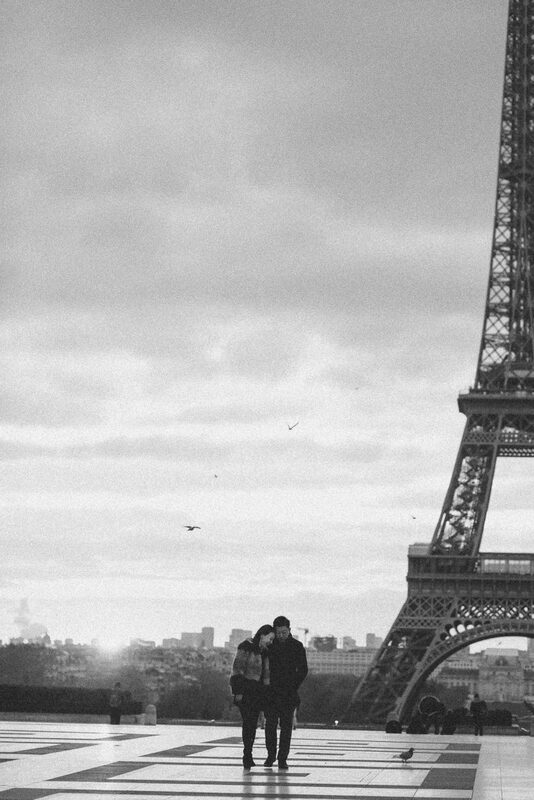 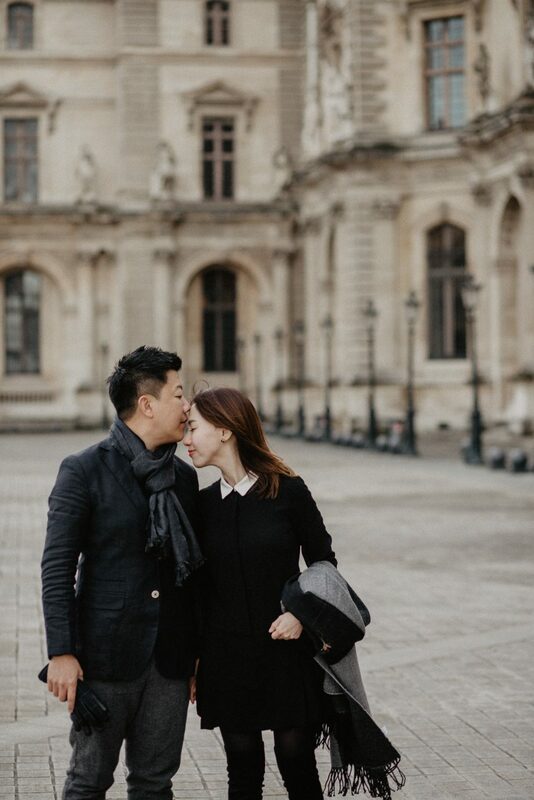 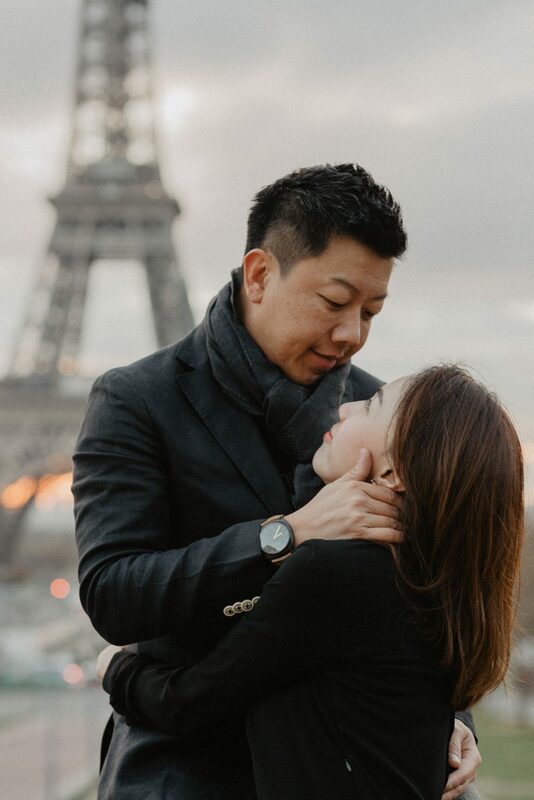 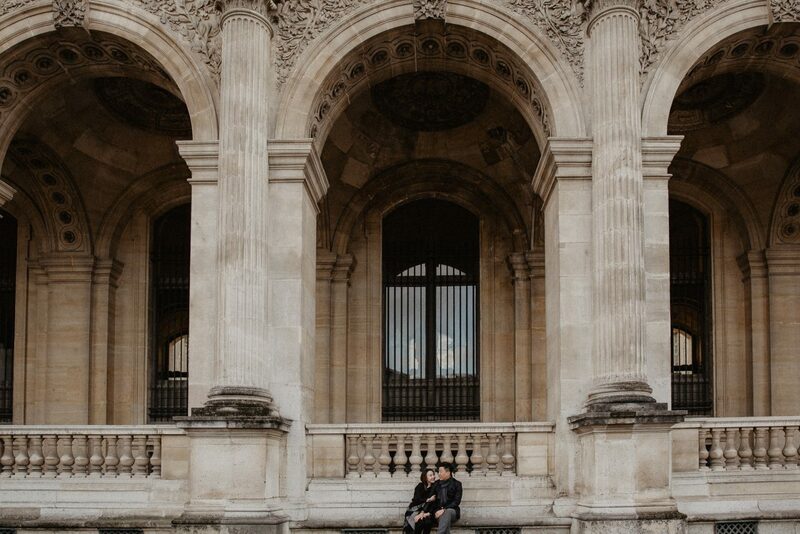 C&K came to Paris to celebrate their 10-year wedding anniversary. 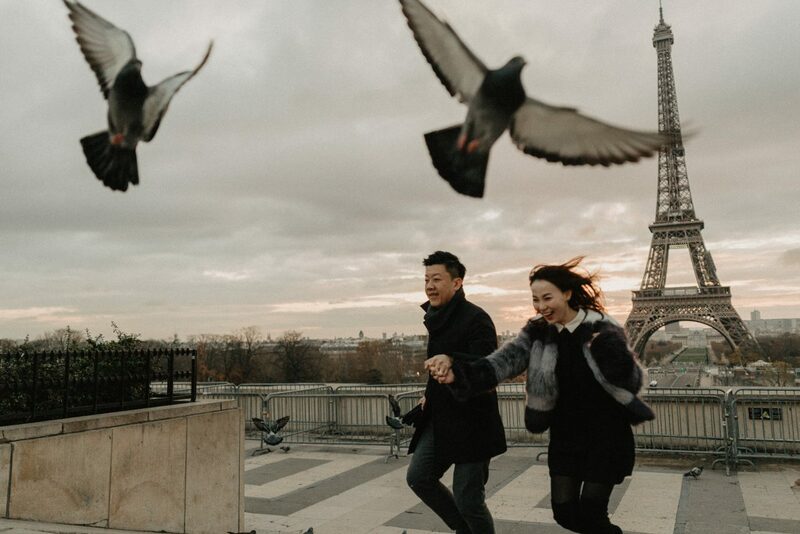 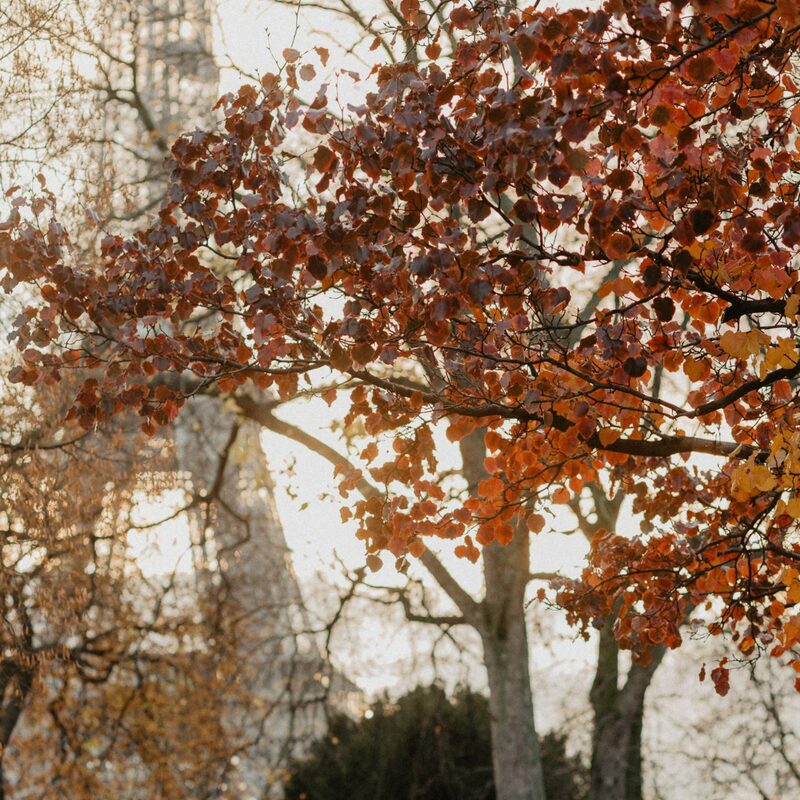 Even though it was pretty cold but we were quite lucky with the weather, from the beautiful sunrise skyline to the gorgeous sunshine through the clouds behind the Eiffel tower. 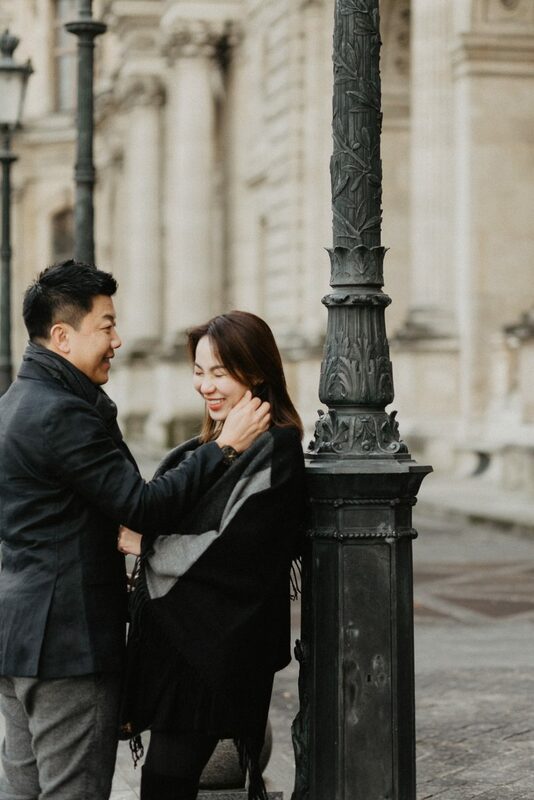 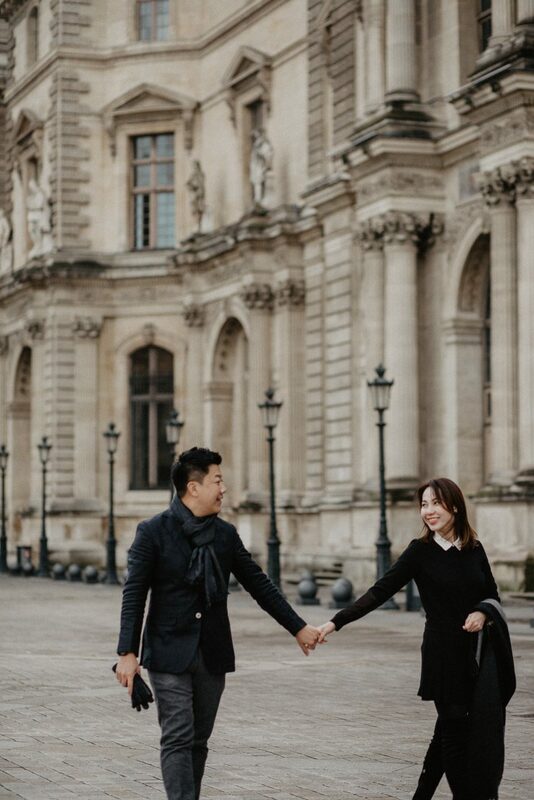 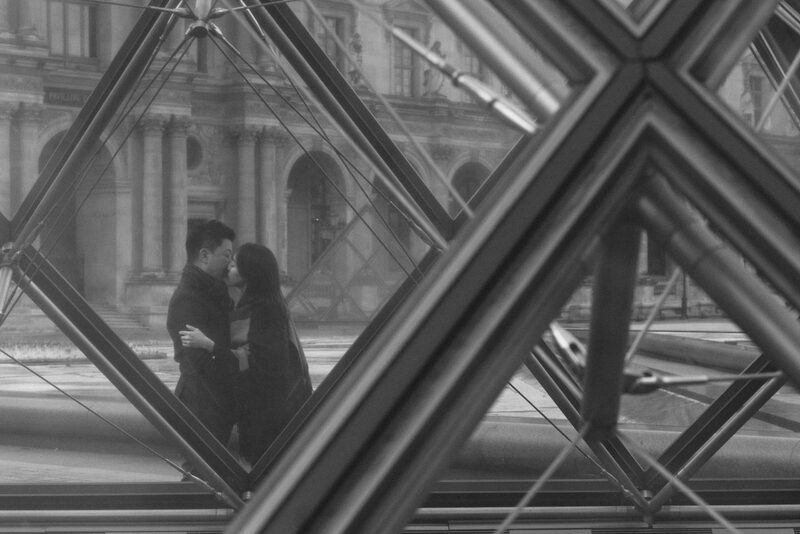 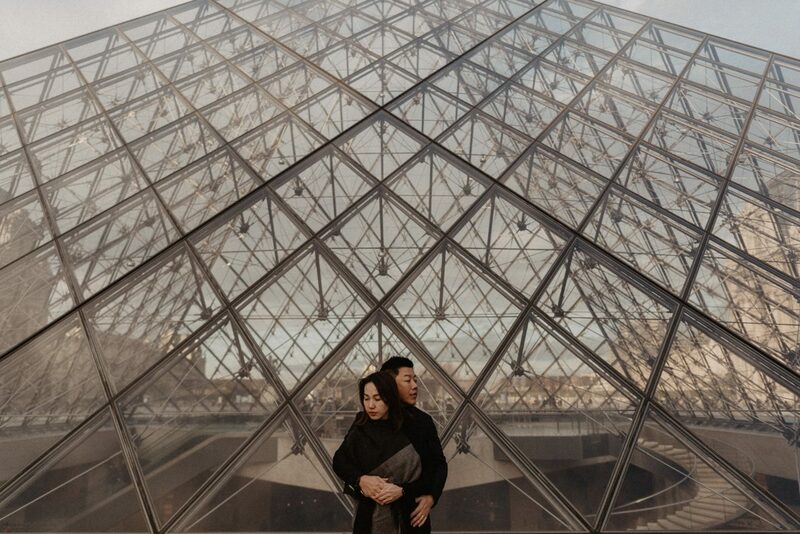 After capturing the beautiful winter sunshine under the Eiffel tower, we then moved to the magnificent Louvre museum for some extraordinary shots. 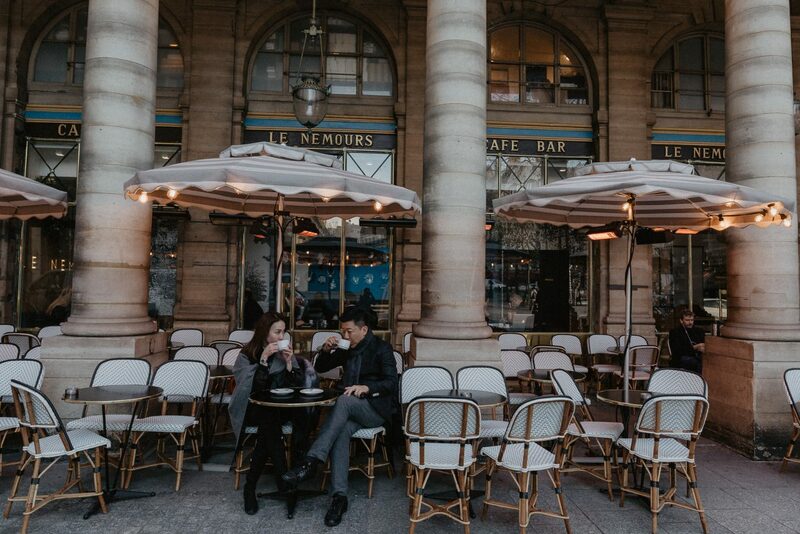 Do you know that near Louvre museum, there is a cafe called “Le Nemours”? 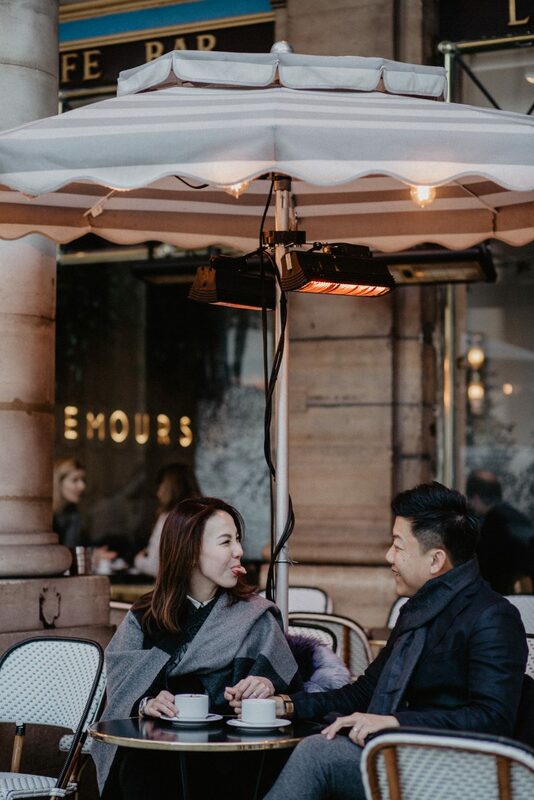 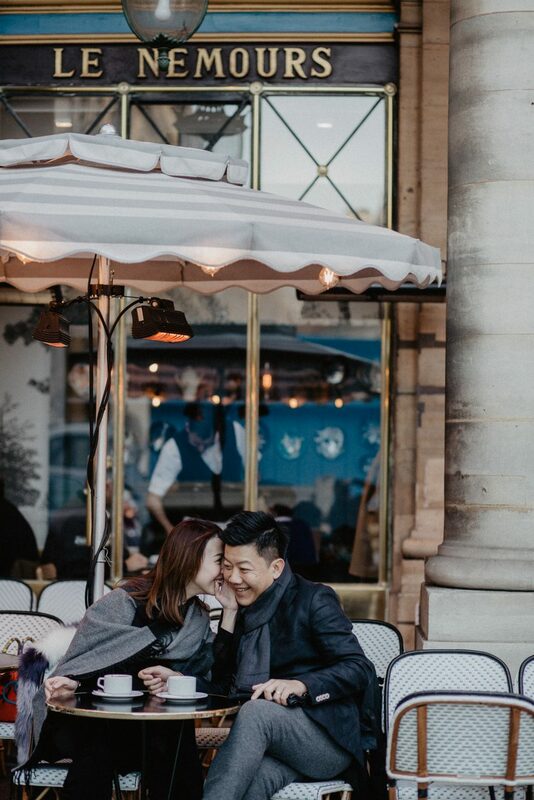 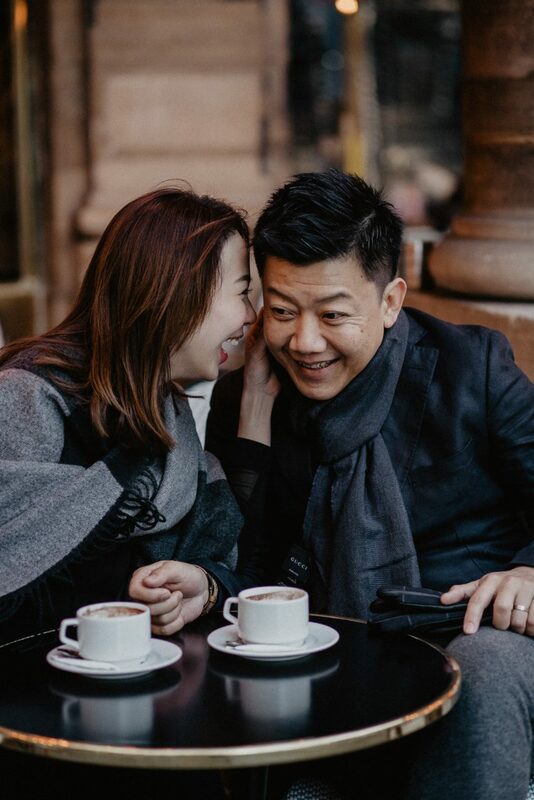 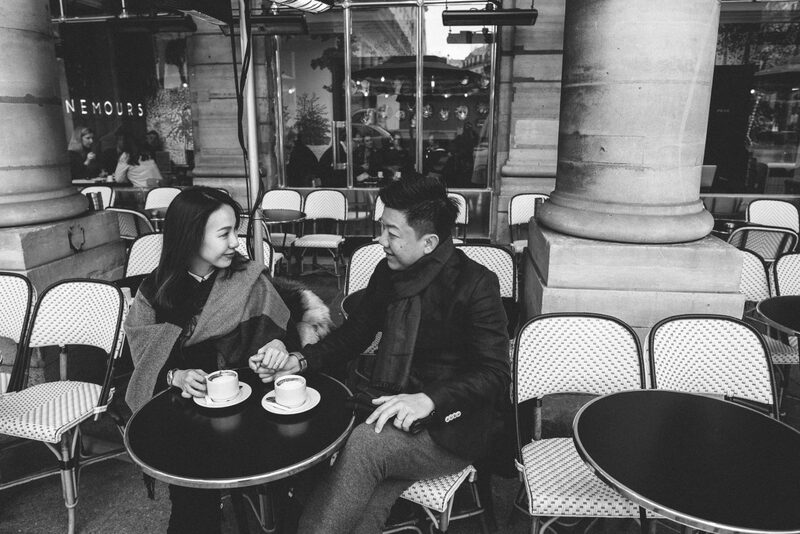 This cafe was where they shot Angeline Jolie’s “The Tourist” – one of our favorite spots for photos in Paris! 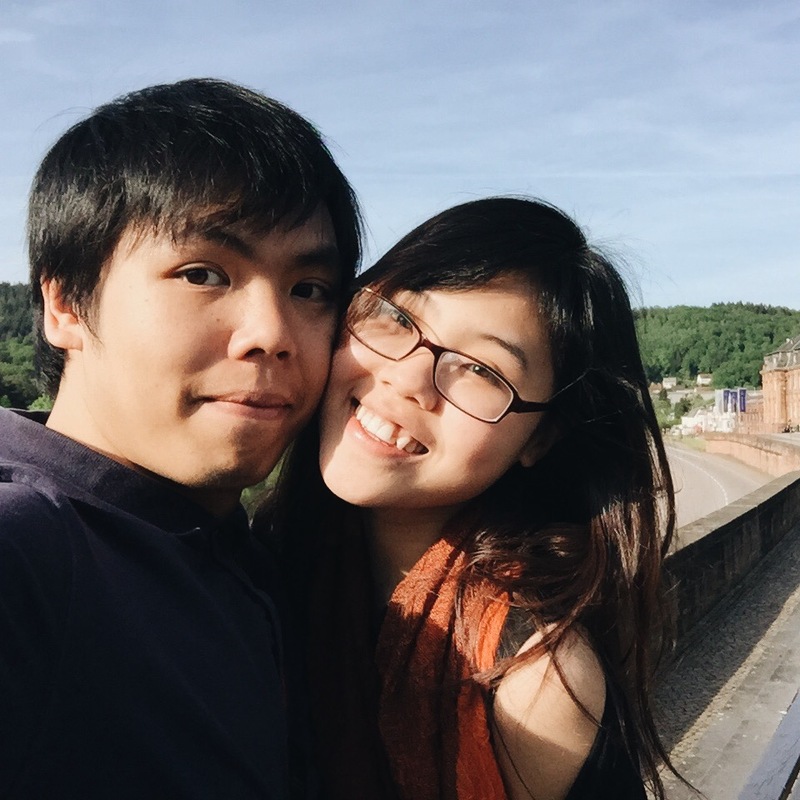 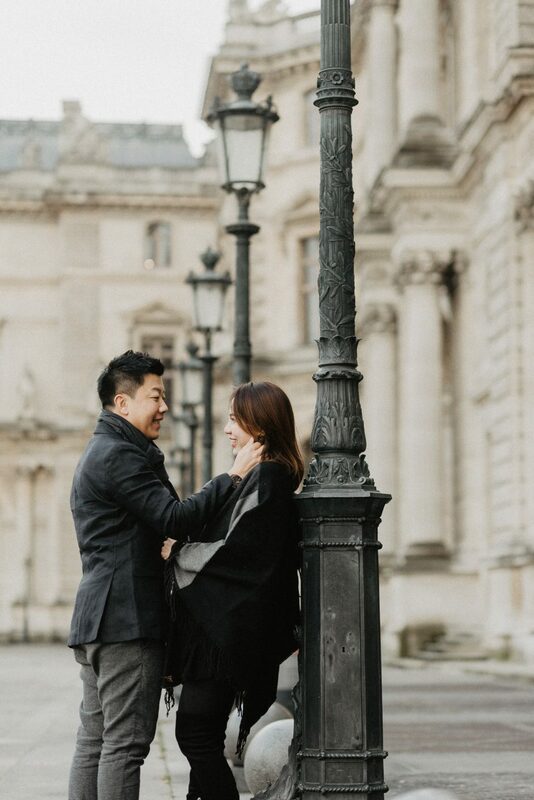 And of course, we couldn’t help but capture Charlene and Kevin’s sweet moments here! 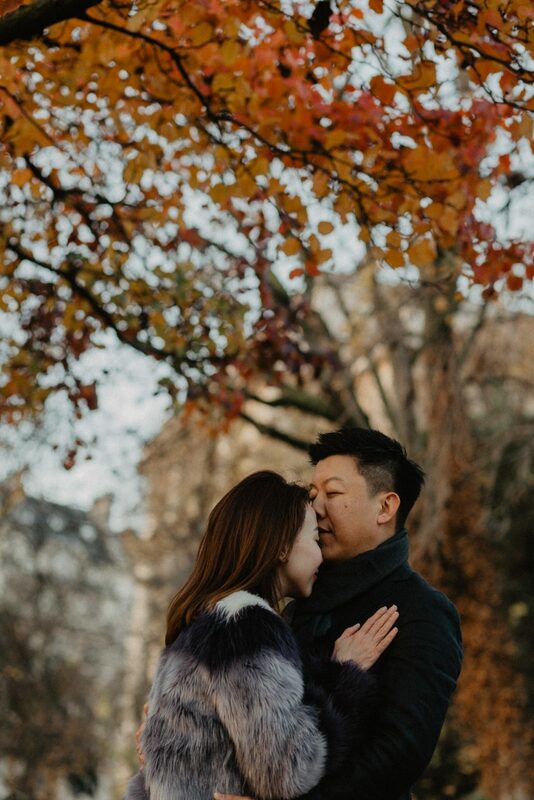 How do you like our photoshoot in the winter of Paris? 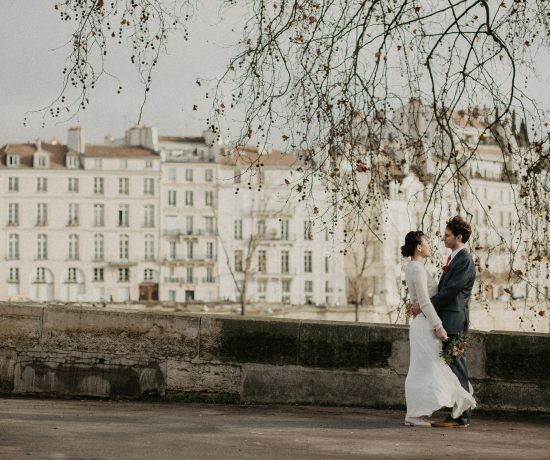 Actually, C&K contacted to us via a recommendation from their friends – whom we had the pleasure to capture their moments in Paris back in the summer. 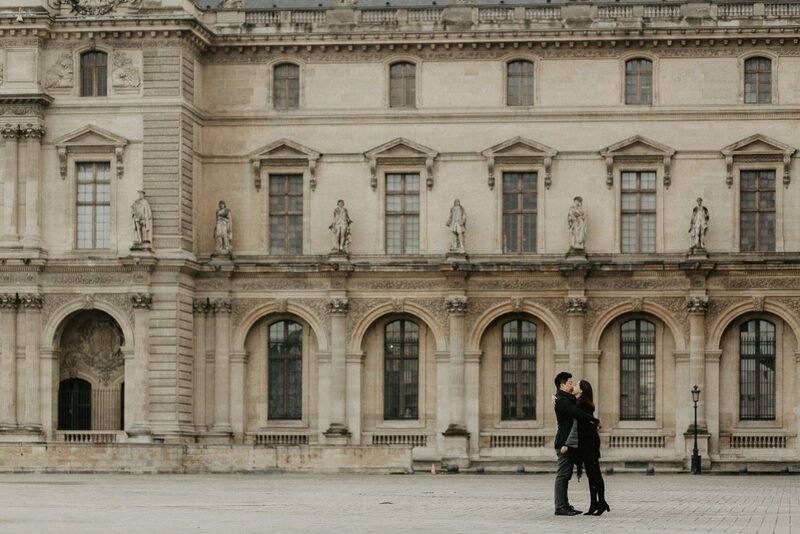 You can check out the shooting we did with them here.